Dear Students & Parents. 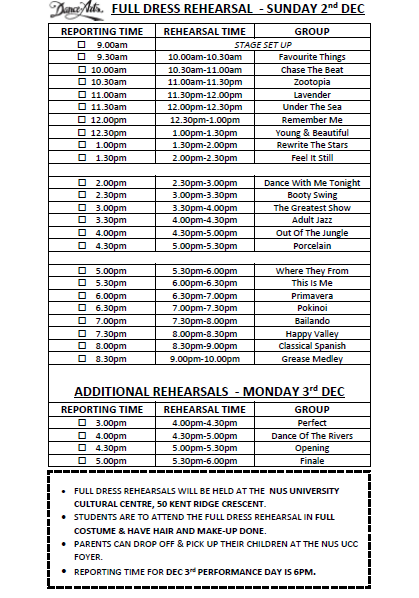 Kindly take note of the Full Dress Rehearsal Schedule on December 2nd at the performance venue: NUS University Cultural Centre Hall. 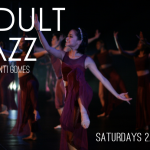 Please note that there will be no classes at Dance Arts on December 2nd, 3rd, & 4th. (Kick-Boxing and Latin Fitness will be on as usual). All other classes will resume from December 5th. For urgent matters during the Recital, kindly contact the Dance Arts Mobile at 81279177.